In the words of the immortal Jack Black, "it's a long way to the top, if you wanna rock 'n' roll." 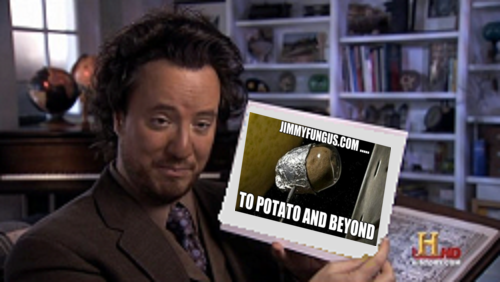 And it has been a slothful, mundane slog, but slowly, but surely JimmyFungus.com is becoming more and more influential every day in the blogging galaxy. Let me give you an example of this, friends. JimmyFungus.com has made it onto Jax's lists of favorite blogs at http://raviolisandwaterworks.com. Jax said that I make people pee. I think that is the greatest compliment I have gotten nearly my entire life. Which is sad in a way, but also very happy, and joyous. But enough about me, let's talk about you. Well, not YOU, but President Barack Obama (unless you are President Obama, then we are going to talk about you). If you are a supporter of President Obama, or part of the Obama campaign (I personally am supporting Independent presidential candidate Abraham Fungus Jr., so this is purely hypothetical), now is a good time to ask yourselves the question, "Will President Obama be re-elected?" The first school of thought is the "Yes. There is no need to be upset." school of thought. There are many reasons to believe President Obama will be re-elected. Sure the economy is still pretty smelly. But it's better than when he took office, for sure. Mitt Romney is buds with all the unbelievably, disgustingly super rich corporate types...so he will have a ton more money to run attack ads against President Obama, than the President will have to respond. But honesty compels me to report, that thanks to our delightful friends at various right wing media outlets, who have been attacking Obama relentlessly even before he took office, we have heard virtually every attack against President Obama one could possibly conceive of, nearly 80 gorillion times already. 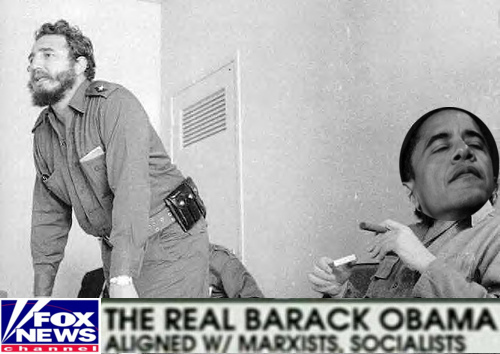 "Barack Obama aligned w/ Marxists, and socialists"?? Thanks to FOX News' persistent reporting, and digging, we already know everything there is to know about Barack Obama's past. We know how he studied under Karl Marx while exiled in Brussels during the 19th century, how he later fought in both the Bolshevik and Cuban Revolutions, how he forged his birth certificate with help from the Church of Satan, and cut a deal with the devil to one day become president, and how while in office signed a treaty with the Galactic Federation of Light, to hand over the entire human race to them to be their space slaves once he leaves office. Yes, thanks to FOX News and other similar organizations, we already know all these things about President Obama...and YES...we have forgiven him. So, what I'm trying to say in a nut shell, no matter how much Romney and his minions spend on negative ads against President Obama, it is just going to come off like massive over kill, being everyone has heard all this stuff for years now. On the other hand, we don't know a whole lot about Mitt Romney, so there is plenty of opportunity for the Obama team to knock a few points off of his favorability rating. And I think most people agree, Obama really is the more likable candidate. So, all these factors, and variables bode well for Obama's re-election. Now, the other school of thought. "Now is the time to be upset." The Obama campaign, groups that support the president, as well as many mainstream news organizations, have been digging up dirt on Romney's past, and finding it, for some time now. Despite this, there are a goodly number of polls that still show Obama and Romney in a dead heat. Economically, the country is still struggling and many people are hurting. If it turns out to be a question of Romney just having to prove that he is a viable alternative, in the way that Reagan did against Carter...then it might be time for Obama and his supporters to come to the realization that "Now is the time to be upset." 1. Tried to eat a laptop? No, but there is a lot of food in between the keys, crumbs, and the like, from me spilling stuff on it. 2. Ever woke up early? No. If you ever wake up early, you should just go back to bed. Because I have learned everything I do just ends up a giant, unmitigated disaster anyway. 3. Tried to do origami on a tissue paper? No. No. I am too dorky, and uncoordinated to do origami. 4. Made someone depressed? (in person, not on the internet) I think the last time I was mean to someone was like the 5th grade. I could always claim I had not reached the age of accountability yet, but I still feel bad about it. 5. Made someone laugh? (in person, not on the internet) Everything I do is on the internet, so these questions are not even fair. 6. Tried to find a word's meaning in a huge dictionary (+1000 pages)? Yes. Back in the day. 7. Tried to break into your own house? No. But I saw an episode of "Laverne and Shirley" about that. 8. Tried to break into someone else's house? No. But I saw an episode of "Laverne and Shirley" about that. 9. Slept under the stars/outside? 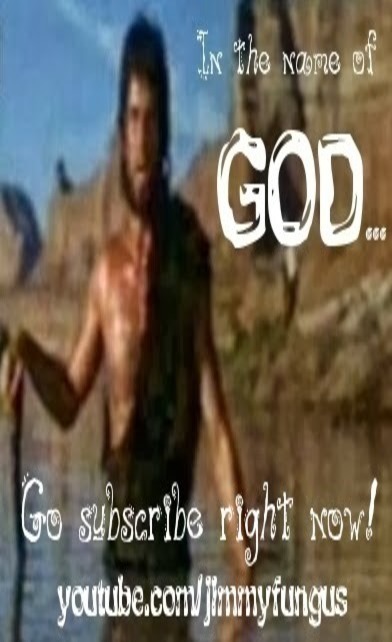 And get eaten up by mosquitoes?? 10. Kicked a door? And get eaten up by termites?? Well, kids, that shall end our fantastic journey for today. Thank you, and once again, God Bless you, and thank you for your support. I advise Americans to vote for the first lady with the best behind. The first lady's tush tells you a lot about the man who chose it. It's the character issue. As efficient a method as any, for choosing our next president. It's better than the methods most people seem to use. The problem with Mitt and Obama is that there is no "lesser evil". When you get right down to it, both of them are really as bad as eachother. I may not vote this time, and just sit home and eat peanut butter. I think this method might put the Obama administration at an advantage as Michele Obama has that ghetto booty. Interesting viewpoints. While Mark is correct about Mitt and Obama being equally bad, at least one of them approves of gay marriages. That has to give Obama more points than Romney at this point, who seems to want to blur the lines between church and state. I would rather vote for you and Mark for president. Mark/Bookish.Spazz 2012! Aww your answer to number 4 is sweet! You still feel guilty about doing something that long ago?! Well, God has put some curse on me for it ever since... or actually I think I started out with the curse on me... but whatever,...so it's hard to forget. I too think Obama will win by a slim margin...though the Democrats have a way of snatching defeat from the jaws of victory. Nice answers to then questions, though! Eegad... I feel like the guy who accidentally called Muhammad Ali "Cassius Clay." 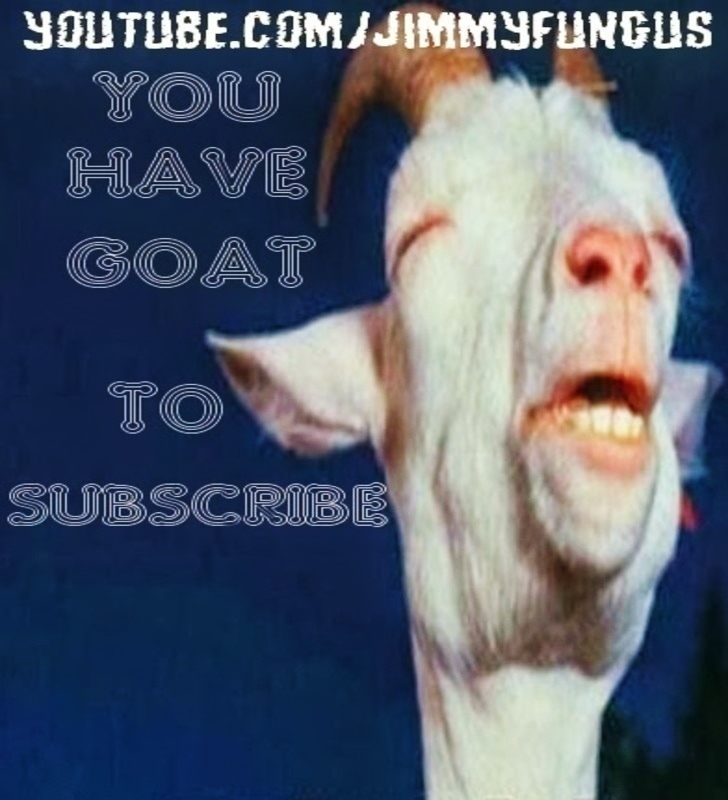 I do have one question though... have you noticed the name of your website is karanbattu.blogspot.com???? LOL yep. When I first made my blog, though, it was only meant to be personal. That's why. I'm thinking of changing the URL and give everyone a week's notice before doing that, in case they have any bookmarks (I highly doubt that, though). Maybe you can help me make up mind. I am going to use this --->Thanks to FOX News' persistent reporting, and digging, we already know everything there is to know about Barack Obama's past. We know how he studied under Karl Marx while exiled in Brussels during the 19th century, how he later fought in both the Bolshevik and Cuban Revolutions, how he forged his birth certificate with help from the Church of Satan, and cut a deal with the devil to one day become president, and how while in office signed a treaty with the Galactic Federation of Light, to hand over the entire human race to them to be their space slaves once he leaves office. <--- and, of course, give you partial credit. How does 'Jimmy Fungus (my devoted boyfriend)' sound? It's true, I'll say that. You can ask Mark, he's my Facebook pal. Ooooh. You've never broken into your own home? I don't believe that. Oh ok. How can I say "no" to you? Why do I need to break into my home? I just use my key, and open the dang door. Real dictionaries? I remember those...then dictionary.com created a phone app. lol Awesome tag! haha I wouldn't have pegged your for an Obama man. An Obama man? I am supporting Independent presidential candidate Abraham Fungus Jr.! Congrats on making Jax list of favourite blogs! Jimmy Fungus your blog is great! I come here to unrussle my jimmies often! Will President Obama Be Re-Elected? Two posible answers! Yes, he will be re-elected. No, he wont be re-elected. And there you have it folks! One of these will be true the other false! Find out, in the future! Thank you, Bersercules... Not only for the compliment, but for your in depth analysis of the U.S. presidential election.